Columbia River Treaty negotiations between the U.S. and Canada, for granted. In 1948, a spring surge of the Columbia River flooded Vanport, Oregon's second largest city at the time. Fifteen people died. Forty thousand were left homeless. In response, the U.S. Army Corps of Engineers, the federal agency responsible for flood management, looked for suitable sites for new storage dams in Washington. The Corps could find none. But the Upper Columbia Basin in Canada boasted excellent sites. 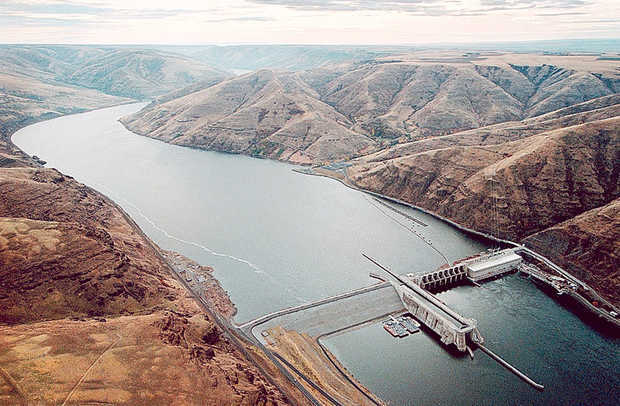 In 1964, the United States and Canada entered into the Columbia River Treaty whereby the United States paid for the construction of four dams, creating massive storage reservoirs in Canada -- a one-time payment for those dams' flood-control benefits. Most of the flood-control benefits the U.S. receives expire in 2024. Anticipating that 2024 deadline, and the ramifications to flood management, the corps and the Bonneville Power Administration reviewed the river's operation and consulted with Northwest states, the Columbia River tribes and other interests to prepare a regional recommendation for the U.S. State Department. The final Regional Recommendation of December 2013 calls on the U.S. State Department to commence negotiations with Canada to update the treaty, and include what the old treaty lacked: consideration of the river's ecosystem along with power generation and flood control, reflecting the changed values of the Northwest since 1964. The Regional Recommendation is now with the State Department, putting local discussions on the Treaty and the region's future on pause. Recent developments, however, make this pause ill-advised. The British Columbia government's recent draft recommendation on the treaty suggests that the province wants to reduce the huge volume of water it stores for flood control in the United States, and to be better compensated for its flood-control services. Meanwhile, the U.S. flood management infrastructure is aging. Cracks in the Wanapum Dam on the Columbia River near Vantage and the Little Goose Dam on the Snake River underscore the problem. Portland's levees are also increasingly vulnerable. Yet, scientists predict more intense, earlier flood events due to precipitation changes linked to climate change. Significantly, the Regional Recommendation calls on the corps to undertake regionwide flood-management review. So far, that call is going unheard. Only the corps has the expertise to undertake this review -- but the Corps needs direction and funding from Congress. The Columbia River is the Northwest's backbone. Flood management sets the baseline for how the region manages the river. All of the immense economic benefits the river gives us -- hydropower generation, water for endangered salmon, irrigation and navigation -- flow from how the river is managed to protect public safety. The Northwest can no longer take flood management for granted. The future of every river-dependent industry, and every person in the Columbia River basin, requires that the corps acts now to assess how climate change will alter flood patterns, the state of our flood-control infrastructure, any necessary improvements, and any environmentally responsible flood-control techniques that could improve the river's ecosystem while ensuring public safety. Suzanne Skinner is a member of the Columbia River Treaty Conservation Caucus of conservation and fishing interests working to modernize the treaty.